Home / Fragrances / The Beard Oil Revolution – Coming #2018! In past years, men would traditionally start their days with a wet shave. Ensuring their faces be smooth and bump free, making them as presentable as possible. Stubble was considered untidy and unkempt and beards more commonly found on Christmas Characters. Of course, as time moves along so do the styles and trends that we all follow. In recent years, Beards have been becoming more and more popular as more celebrities start to don the hairy chin straps. Now in 2017, you can’t go anywhere without seeing big, bushy beards of varying quality. With so many beards on people’s faces, Beard Oils are a fantastic niche expected to grow significantly in 2018. As less people wet shave daily and the market generally moves towards keeping facial hair, trends in the marketplace are starting to appear, with aftershave showing a decrease in sales of 11% in 2016 alone. Beard Oil appears to be picking up from where Aftershave has been lagging. Currently, Beard Oil only represents around 1% of the Men’s beauty market but the number of Beard Oil products registered only this year has quadrupled. This is key information for those who are wanting to get one step ahead of their competition. This section of market share is expected to increase to 2-4%+ in 2018. For as long as men have existed so have beards. But nowadays beards are used for exceptionally different reasons! Early beards were used for heat and intimidation whereas nowadays you’ll find them being used to show masculinity, status, fashion etc. Amazingly Beard Oils were used in Mesopotamian civilizations (Areas of Turkey and Syria) dating as far back as 3100bc. During ancient times, it was considered a sign of health and wisdom to have a long and healthy beard. As we are about to enter 2018, the niche aspect of Beard Oils is starting to dwindle as the product begins to start to be picked up in the mainstream and with a few of the large brands now introducing their own ranges. But on the contrary Beard Oil is proving to be much more of a craft product with consumers at the moment favouring smaller producers. Bergamot Oil – Not only will this provide you will a strong sweet smell, Bergamot is also a wonderful antibacterial and works as a natural deodorant, keeping nasty smells at bay. Sandalwood Oil – Sandalwood is especially effective in beard oil blends for soothing acne issues and reducing pesky beard itching. Just Like Bergamot, Sandalwood is one of the best smelling essential oils. Eucalyptus Oil – You will find Eucalyptus in the majority of Beard Oils, are for very food reason as this is one of the best Oils you can to your formula. 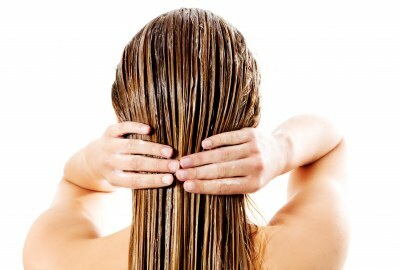 Effervescent and great smelling, Eucalyptus is also used for anti-aging, as an anti-inflammatory and deodorant. This is just a short list of the effective Essential Oils that could be added to your Private Label Beard Oils! 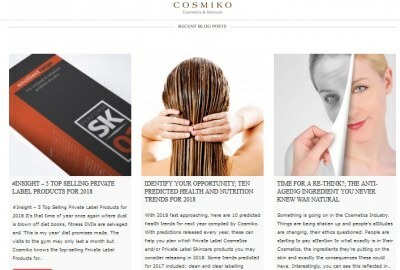 Please check out our Ingredients page featuring our Oils and Minerals, Nuts and Seeds Extracts for further information on ingredients that could feature in your next Private Label Cosmetic Product with Cosmiko.